When reviewers try to describe Hyunah Yu's voice, "pure" is often the word that comes to mind. 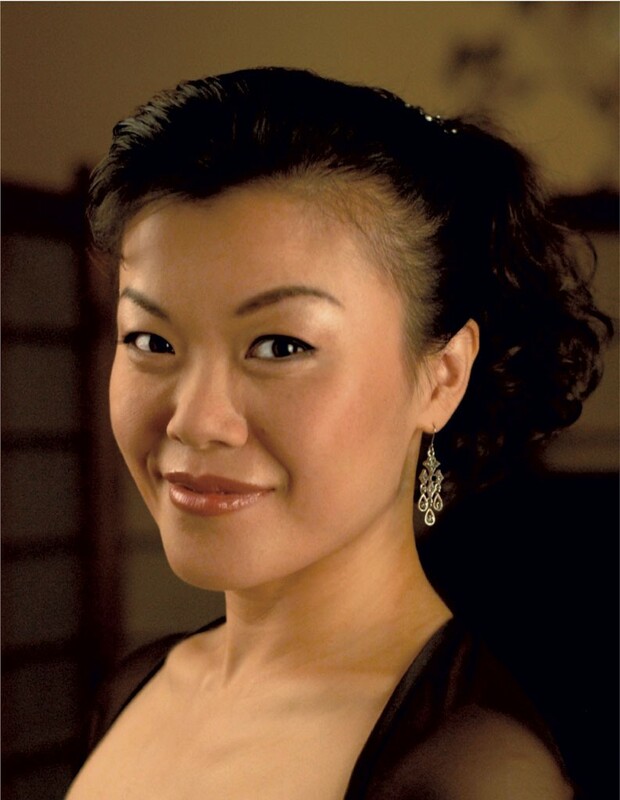 In 1999, when the Korean-born singer was a student at the Peabody Institute of the Johns Hopkins University, a Baltimore Sun writer noted "her lovely voice, with its diamond purity." A New York Times critic remarked on her "clear, secure tone." And a reviewer of her second CD, Bach, Mozart: Arias (2007), called Yu's instrument "pristine, and transparently clear." Vermonters may have heard that focused sound on previous occasions, most recently last August when Yu sang Shostakovich at the Lake Champlain Chamber Music Festival in Colchester. She'll make her next Vermont appearance this weekend, singing in an all-Bach program with Capital City Concerts in Montpelier and Burlington. This opportunity to marvel at the human voice should not be missed. Nor should the chance to hear Bach. In addition to Yu's arias — "Beloved Jesus, My Desire" and "Sheep May Safely Graze" — and cantata, the program includes two instrumental works: the Brandenburg Concerto no. 2 and the Concerto for Violin and Oboe in C Minor. "You can't go wrong with Bach," quips CCC founder Karen Kevra, a flutist. "It seems like the guy never had a bad day." Bach also served as Yu's entrée into the Vermont music scene. The soprano first sang here in 2000, as a soloist in the former New England Bach Festival in Brattleboro under the direction of choral conductor Blanche Moyse on the latter's 90th birthday. (The festival has since been reconfigured into several concerts under different names.) Moyse, who helped found the Marlboro Music Festival with her then-husband, Louis, and others, brought Yu to Marlboro that year, where she has performed regularly since. Reached by phone after a concert engagement in Seoul, Korea, Yu recalls that she came to know Kevra through the Barre-Montpelier Times Argus classical reviewer, Jim Lowe. Lowe was "one of the few people who knew both Blanche and Louis [Moyse]," Yu says. Louis, by then divorced, was living in Montpelier and had taught Kevra flute for five years. Kevra says her former mentor was "the inspiration behind Capital City Concerts" when she launched it in 2000. Yu has become a CCC regular since her first appearance in the winter of 2003-04. The Bach program is the second of CCC's five concerts between October and May, but it's the only one to be repeated in Burlington, where it is also part of the Cathedral Church of St. Paul's Cathedral Arts series. The Burlington performance is partly funded by the Vermont Community Foundation's Concert Artists Fund, which specifically supports classical performances in Chittenden County. In the grant application's favor were not just Yu but the trumpet player, Sycil Mathai, who is guest principal trumpeter with Minnesota's Saint Paul Chamber Orchestra this year; and oboist Randall Wolfgang, principal oboist at the New York City Ballet. Normally, the oboist would play in the program's concluding cantata, "Ich habe genug" ("I am content"). Bach first wrote the piece for baritone, strings, continuo and oboe, the last of which has several duets with the male voice. But Yu learned the composer rewrote the cantata to feature soprano and flute when she was asked to perform it four years ago in Boston. Performances of this Cantata 82a are rare enough this side of the Atlantic that Kevra had to order the scores from Europe, Yu says. Despite her mellifluous voice, Yu hopes audiences remark on the beauty of the music more than her singing. Formerly a molecular biologist, Yu switched to singing in her mid-twenties after her husband's murder in a carjacking incident; she calls music "probably one of the most beautiful gifts from God." "We are the medium," Yu says of the role of musicians. "It comes through us, but it's not about us. What the composer intended, how the creative process came about, is what we are there to communicate. The best compliment I can get after I perform," she adds, "is, 'The music was incredible.'"